The 4th annual IT Leaders Africa Summit will be held in South Africa's city of gold, Johannesburg from 14 to 15 March 2013. 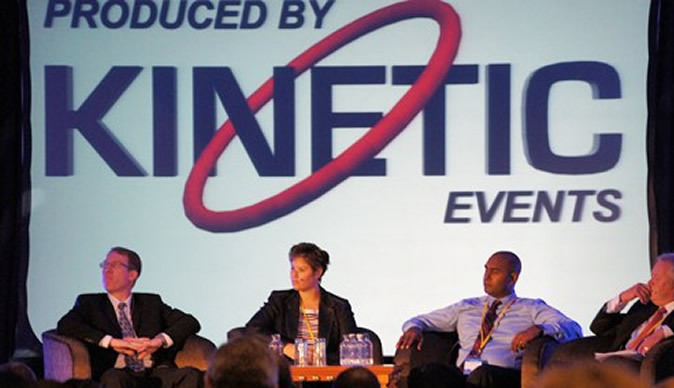 The summit is hosted and produced by international business-to-business conferencing company, Kinetic Events. The IT Leaders Summit series is hosted in strategic locations all over the world including Johannesburg, Dubai, Ghana, Cape Town and Nairobi. The series hosts over 150 CIOs and senior IT executives representing leading companies from the respective regions. South Africa, Republic of, Jan, 2013 - Enterprise mobility enables the enterprise workforce to gain instant access to corporate information through mobile applications anywhere and at any time. Enterprises are fundamentally changing the way they operate business processes, and in order to remain competitive, organisations are forced to make enterprise applications easily accessible through mobile devices. South Africa is known as one of the fastest growing mobile communications markets in the world and telecommunications is one of the fastest growing sectors within South Africa's economy. Driven by the rapid growth in mobile and broadband connectivity in recent years, South Africa boasts a network that is reportedly 99.9% digital. According to a recently released report reveals the target of 30% growth of mobile application deployments per year. Devices for the enterprise have continued to greatly impact the contemporary business world through new technologies and services that could potentially improve productivity and communication in the industry. Improved mobile productivity resulting from improved mobile access to enterprise software and information could result in a greater ROI for the enterprise investing in mobile communications, resulting in the enterprise seeing overall improved sales and communication. With the enterprise allowing employees access to mobile, instant communication and access to corporate information, enterprise mobility vastly improves productivity through providing the information as and when it is required. The continual increase of companies moving to the mobile applications to further improve work productivity, it's essential to evolve your enterprise into the next generation of technological advancements available to the industry. The majority of enterprises are looking to mobility for cost savings, responding to employee demand. The next generation in enterprise computing has arrived, and the industry-wide focus is on mobile-centric solutions. Locally, about 60% of South Africans experience the Internet on a mobile device. The increase in mobility in our personal lives is a concept that organisations must embrace to experience the full calibre of benefits to the business. Enterprise mobility will have the ability to provide instant access to information through mobile applications, anywhere, anytime. The IT Leaders Africa Summit is set to address issues and challenges associated with BYOD security, enabling IT to provide detailed security requirements for each individual personal device used in the workplace and connected to the corporate network. Solutions and tactics to be discussed will include configured networks with passwords prohibiting certain applications from being installed on the device or requiring all data on the device to be encrypted. Other BYOD security policy initiatives to be addressed will also include possibly limiting activities that employees are allowed to perform on these devices at the work place. The propagation of mobile technology is fundamentally changing the way corporate do business, engage with the world around them and communicate. The evolution of the mobile practice in internet technology has led to the IT restructuring and the introduction of bring your own device (BYOD) networks within the enterprise. The summit will address inherent security and infrastructural issues and challenges that these networks pose to South African and African businesses and business practices, and what the effects on the growth of business applications and mobile business will have on traditional industries including finance, banking and retail. The IT Leaders Africa Summit provides an exclusive business-to-business platform to share, network and engage in a focused interactive environment with IT industry peers, senior executives, government officials, senior decision makers, IT leaders and international guests. The summit aims to address information technology and communications challenges, operational excellence, and technological advancements impacting the enterprise with strategic guidance and actionable tactics. Africa's IT industry will discover efficient methods to deliver IT projects and services, resulting in business growth and innovation, and successfully leveraging existing resources and investments. For more information visit www.itleaders.co.za or contact +27 21 555 0866.